The success of many companies is only as good as the systems that support the day-to-day work and more often than not, IT is the backbone of the system. 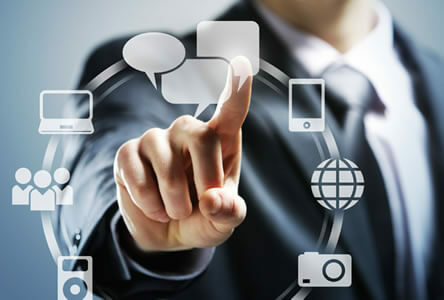 We are equipped to handle any and every IT task, from completing help desk tickets, to strategic planning and policy. Policies – IT policies are critical to maintaining security and making certain every user knows how to work within the system. If you don’t have effective policies in place and being enforced, your system may be vulnerable, placing your company at high risk. Processes – Processes allow your company to maintain IT consistency, which is essential to optimal performance. Without solid, defined processes in place, you’re at risk for security breaches, lost data, slow networks and downtime. Procedures – Procedures allow for quick and effective troubleshooting of the problems which inevitably occur. Without procedures, you find yourself in a world of hurt when problems arise. For example, instead of five things going wrong, you may have twenty. Each of those twenty has their set of sub-problems. Procedures save you time and protect your IT infrastructure. Protocols – Let’s face it, IT problems occurring are not a question of if, but when. If you don’t have protocols in place when problems arise, no one knows what to do first, second and third. When there are protocols to follow, everything becomes more routinized, and problems are solved more quickly. According to the Garter Group, “80% of businesses that suffer a critical data loss go out of business within six months.” Don’t let that happen on your watch! Let us help you identify your needs and create policy that delivers the most from your IT. Get This Off of My Plate!